I love making things during the holiday season that make the house smell divine while cooking. 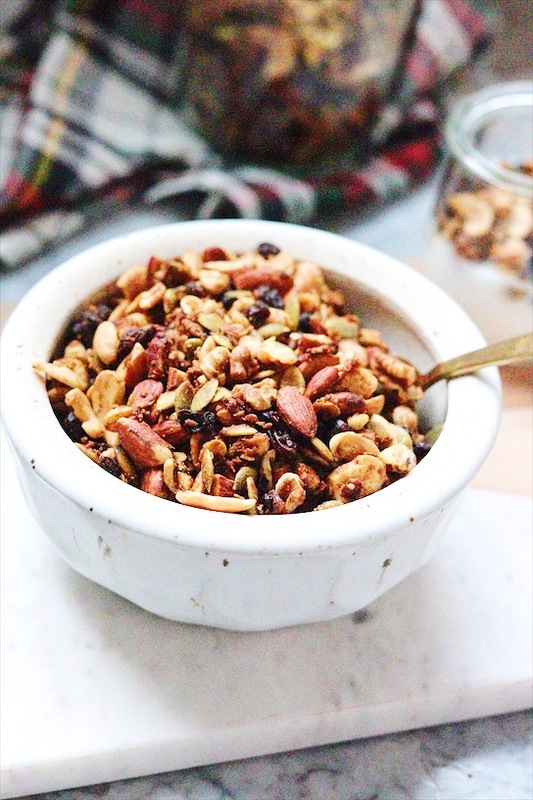 Cinnamon rolls, vegetable stock, and now this granola are some of my favorites. The deliciously intoxicating smell of gingerbread really sings Christmas and you’re going to want to make this and gift it to all your friends. First, we need the details….